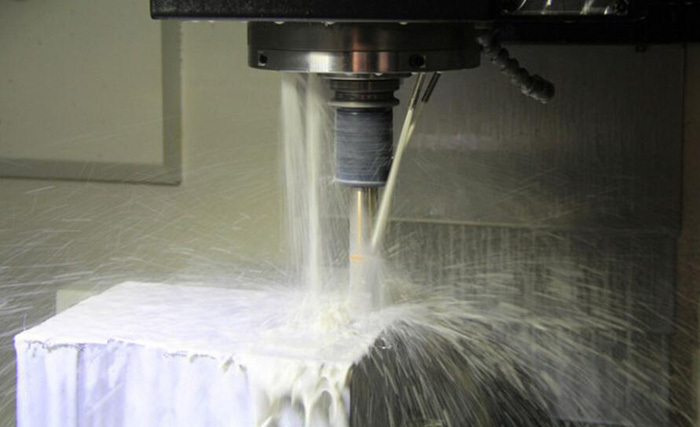 The technology of rapid tooling is developing quickly in the industry. How to select the corrected steel and build the tool quickly are the critical topic nowadays. Al7075, P20, S136H, NAK80 steels are commonly used as steel metal in Rapid Tooling. Let's discuss the differences between each items and learn more about their properties here. Al 7075: Combines with good manufacturability and a excellent performance of injection. Al 7075 is used commonly as the steel metal choice for a low volume production mold. It is an alloy with great strength of aluminum alloy properties, however, it cannot be welded. It has good mechanical properties along with solid wear resistance and is easy to be machined. It can help to build a rapid prototype tool in severval days. With Al 7075, it is a possibility to have most textures applied. You can have a quick turnaround mold by using Al 7075 as steel metal. The challenge is the mold’s lifetime. For accuracy, a Al7075 rapid tool molding quantity would range from 5,000 to 10,000 parts and the maximum quantity varies based on a part’s geometry and injection resin. It would be a good choice for low volume production. P20: P20 steel is widely used as Rapid Tooling steel. The hardness of P20 is uniform with good finish performance. Corrosion carved performance and a good processing performance make it can be directly used for mold processing. It also has the characteristics of good dimensional stability. The tool’s lifetime can extend much longer when compared with Al 7075. The molds are generally serviceable for around 50,000 to 100,000 shots, and with a normal polish and most textures able to be applied onto the steel surface, it lends itself quite favorable. Considering the quick production, effective cost and a long tool life, P20 steel mold would be a preferable choice. S136H & NAK80: Pre-hardened steel does not need heat treatment. It has excellent durability and mechanical characteristics and can also reduce the risk of cracking. S136H & NAK80 are commonly used as tool steel with high gloss and high polishing requirements in comparison with the P20 steel. These two steels are harder and are around 35 - 45HRC even without heat treatment. The tool lifetime ranges up to 500,000 shots depending on the structure and injection resin. TEAM Rapid is a professional Rapid Tooling & Rapid Prototype Tooling manufacturer in China, contact us at sales@teamrapidtooling.com for more info.